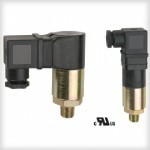 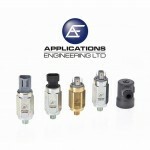 Designed by and manufactured exclusively for Applications Engineering, the APA pressure switch range offers exceptional value for money matched with a proven quality. 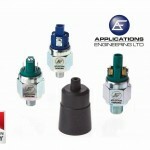 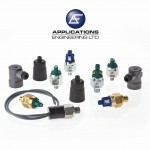 This range of single pole double throw type pressure switches is available with adjustment options spanning 0.1 to 300 bar and comes in a format that is familiar to customers but has many different options for those with specific requirements including body materials, electrical contacts and thread types. 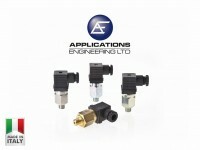 Standard models are supplied complete with DIN 43650A electrical connector. 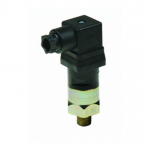 These high quality SPDT pressure switches are manufactured in Italy for Applications Engineering Ltd and list prices start at only £27.50 each, we can offer unbeatable pricing for OEM’s and volume customers so please give us a call to discuss your requirements.